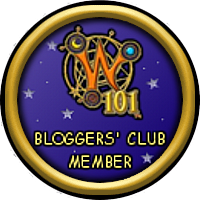 The dragonspyre pirate: Who is the most powerful enemy in wizard101? This is a very debatable question, with most its either morganth, malistare or old cob but what if I told you that you were wrong? The strongest enemy may not have the most health, may not have the most powerful spells, and may not be invincible but they are powerful, what I propose to you is that the loremaster, yes the one everyone farms, is the most powerful enemy you have ever met. Why you may ask? Its simple she's a walking spell library. She knows spells not many know, she comes from a world known for their battle skills, she is basically a walking spell library. What about gear you may ask? Sure many others even some basic mobs drop better gear but what is gear to a wizard without spells? This isn't so much a theory as a hypothesis, even less a hypothesis than something for you too think about. That person that you farm for spells, that person you can solo, that person may be more powerful than you might think. A wizard is only as powerful as their spells, and the lore master knows some powerful spells if put in the right hands. Think of it this way, loremaster can use powerpips for all classes, no other person can. our wizards who are the most powerful person, use loremaster spell in pvp because its overpowered. Loremaster may not be the toughest fight but hands down she is one of the if not most powerful enemies out there. So next time you farm her think, if she was on old cobs lvl of powerful and she had cheats, do you think she could beat you no matter what you did?